Login in as portal administrator. Go to Control Panel > Site Setting. Key in your desired domain in the “Public Pages” field (you can leave the Private Pages blank). You should be able to access the portal via your new domain (liferay.vt.com:8080) and “/web/guest” has been remove from the URL. Note: Do not forget to include your domain in your host file and restart or clear your browser. Warning: There seems to be an issue with the Site’s virtual hosts in Liferay Portal Community Edition 6.1.0 CE (Paton / Build 6100 / January 6, 2012). When our users tried to click on the portal’s links for the first time, they will be redirected back to the same page that they were in earlier. and what seems to happen is that when you click on it, it just redirects you back to the same page [our homepage] only those “jsessionid” strings are now gone and everything works as normal. According to the forum, this issue will be resolved in the next release. We will verify this portion once the release is out. 2th Aug 2012 – Latest Update! First of all, let me tell you what I am or my company is intended to do. We have already developed a project using Java, JSP and Servlet. We want it to integrate with Liferay so that we can change logo, css, images, themes or any other UI related component at run time using Liferay admin panel. But backend should be what we have developed. In short, UI of our project is controlled by Liferay but control of data displayed on UI or submitted from UI should be from our developed backend code. 1) What we are trying to do is possible? 2) Is this approach recommendable for what we intended to do? 3) Or do we need to develop our project from scratch to fit into Liferay? Like developing portlets and deploying in Liferay or other approach that has been given in Liferay documentation. 4) What about database integration? We have around 15 columns/fields in user table in database of our project which is completely different from that of Liferay’s user table. 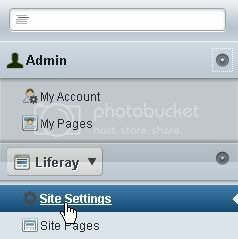 Liferay is a very new for us. We have checked the documentation section of Liferay but still few things like above said requirements and its implementation is not clear. Also, we would like to know in what scenarios/requirements Liferay is useful. Eagerly waiting for your views. Any help will be very much appreciated. Actually I am pretty new to Liferay as well. I have never tried to integrate Liferay with JSP and Servlet before, but my best bet is that if you are looking to retain portal UI functionalities like logo, css, themes and its drag and drop features between portlets, then you might need to develop it as portlet. Question #2 and #3: Is this approach recommendable for what we intended to do? Or do we need to develop our project from scratch to fit into Liferay? Like developing portlets and deploying in Liferay or other approach that has been given in Liferay documentation. Er no, this is not the proper approach in a portal environment. Yes, I am afraid that you might need to develop your project from stretch (best scenario) or alternative you can retain your servlet in your portlet and call it via ajax? Question #4: What about database integration? We have around 15 columns/fields in user table in database of our project which is completely different from that of Liferay’s user table.